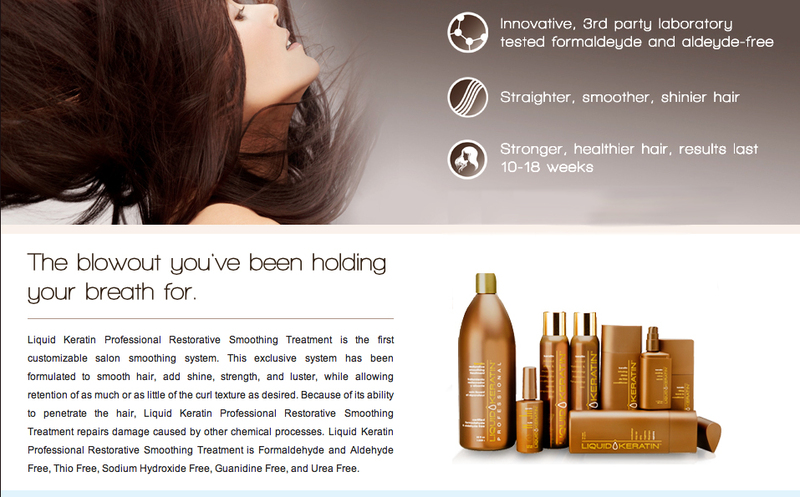 Liquid Keratin Professional Restorative Smoothing Treatment is the first customizable salon smoothing system. This exclusive system has been formulated to smooth hair, add shine, strength, and luster, while allowing retention of as much or as little of the curl texture as desired. Because of its ability to penetrate the hair, Liquid Keratin Professional Restorative Smoothing Treatment repairs damage caused by other chemical processes. Liquid Keratin Professional Restorative Smoothing Treatment is Formaldehyde and Aldehyde Free, Thio Free, Sodium Hydroxide Free, Guanidine Free, and Urea Free. •	Thio Free, Sodium Hydroxide Free, Guanidine Free, Scent Free, No Burning. •	Straightens and smoothes hair. •	Penetrates hair to enhance strength and elasticity and revitalizes dry, damaged, frizzy, and hard to manage hair. •	Bio-Restore Complex to repair extremely damaged hair from chemical processes and/or external aggressors (UV rays, wind, humidity). •	Provides strength, resistance and natural flexibility. •	Nourishes and conditions hair to restore vibrancy and manageability. •	Treatment is washed out immediately after service. No waiting time. Hair can be colored the same day as service. Keratin Filling Leave-In Conditioner- Bonds keratin proteins and vitamins to hair follicles to fully condition hair inside and out, providing long lasting moisture, strength, shine and manageability. Lightweight formula protects from sun damage while keeping even frizzy hair smooth and soft.